Lead, Follow or get out of the way. If you don't know me, don't follow me, but if you dare hold on tight ! So what to do during load shedding ? For those living in the rest of the world, Load shedding is when Eskom (Our Incumbent electricity provider) can’t supply enough power for the demand, and the turn off the power in certain areas for a few hours. So in effect we each get a turn to use some electricity. Fun Fact : Eskom is the only business in the world I know off that spend money on advertising to encourage people not to use their product !! Some people fire up the generator, and carry on like normal – this is so yesterday. While there is a 65KVA genset on the game lodge I am staying on now, I prefer not to use it. It is absolutely amazing the quiet you experience with no electronic humming, no fridge compressors, and no pilot lights or LED’s to subconsciously tell you we live in a connected world. It is as if my mind starts to function at a different level. I am thinking up all kinds of weird crap, some crazy ideas for inventions, some new business ventures, reflecting of life, people that came into and out of my life, and I can focus on my obsessions. 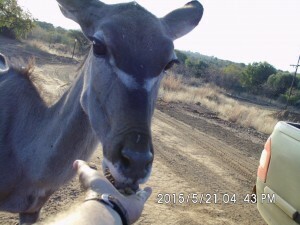 On the other hand driving on a quad among the animals, feeding Kudu by hand, and in general get back to nature is a truly humbling experience. Other than reading the one advantage of load shedding is you can’t play with your Electric Bath Duck ! Now all I can ask is who came up with this one ?? Use once only ? 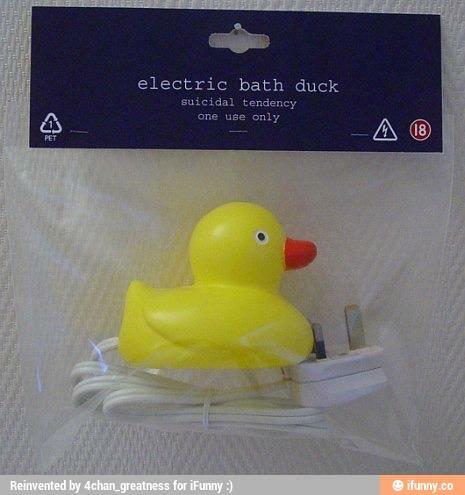 a true catch 22, if load shedding is driving you to suicide, and you cant use the only toy designed for it. And no I am not publishing the link where you can buy one, since I don’t want any of you dead.